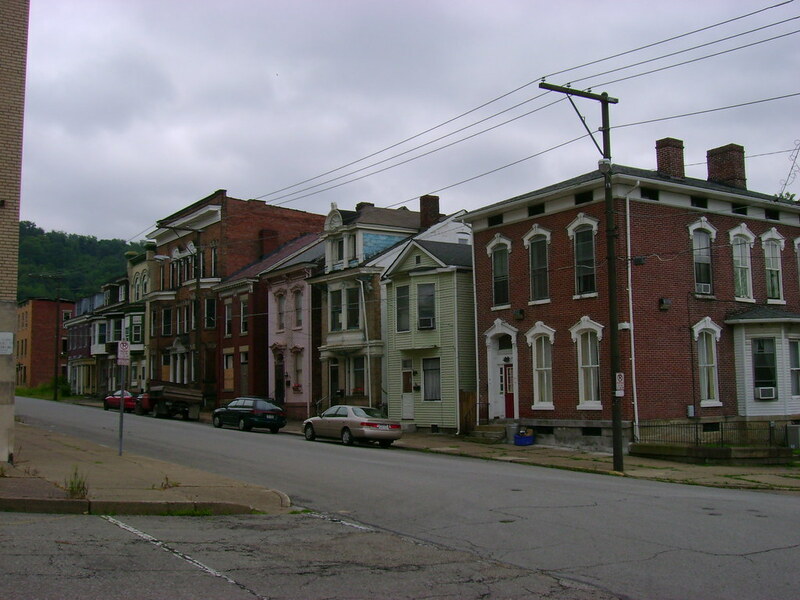 It is a shame that the Mount de Chantal property could undergo adaptive re-use especially when it brought priceless history to Wheeling since ca 1865. The Wheeling Jesuit University could have been given the opportunity to expand on-site since the building is next door. Also, so many historical (ceramic) tiles, cornices, and hand-carved wood trim is negligently tossed in the landfills. The area preservation groups were deliberately kept out of the discussions to save the building - so the chairman of the board of the Wheeling Hospital could "buy" the property from the same Catholic Diocese that he represents. Hardly an "arm's length" transaction. Perhaps there is an ethical problem too. The statement above indicates that whoever wrote it does not know about the company involved in this situation: GreenTrac. Please find them and their philosophy on the web and know that many, many parts of this wonderful old set of buildings are now available for reuse. One example of an entity offering some items for sale is doc'sarchitecturalsalvage in Indianapolis. Also, some items are available from a dealer in Charleston, South Carolina. Can the writer confirm his statement about items being "negligently tossed in(to)..landfills". This statement is by someone who is following the case carefully. Here is another beautiful Wheeling, WV 6-story commercial building (ca 1890) that is at risk for being bulldozed - unless a benevolent buyer can buy it - and renovate it into residences and businesses. Built originally as a bank, the grand Professional Building stands an astounding 125 feet tall. The building’s polished granite facade reflects an affluent 1891 Wheeling, West Virginia. The interior spaces are disguised by dropped ceilings. Solid wood accoutrements and spectacular original details are now camouflaged by outdated remodeling, done to reduce the heating and cooling costs for a history of individual tenants. In order to save valuable time for potential buyers and myself, I have been as thorough, honest and upfront as possible concerning necessary repair items for this building. I have worked with Wheeling National Heritage Area Corporation, Schamu Machowski and Greco Architects, and the city of Wheeling to substantiate repairs necessary to bring this structure up to code. All of the pertinent information can be found in the report submitted by SMG architects. A sample estimted budget has been prepared by SMG Architects to help put bulding repairs in prospective. The building is located in Wheeling West Virginia and in the heart of Marcellus gas drilling territory. This location would be perfect for owner residence on the top two floors and owned occupied business on the first four floors. A prime opportunity to combine a little history with todays modern business. Currently owned by local couple. The six story building has 5 full floors and a partial 6th floor. Approximate size of the full floors is 2900 sq. ft. and the 6th floor approximately 1000 sq. ft. The building is used for the couple's own businesses. The first and third floors are totally occupied. Part of the second floor and about half of the fourth floor are also occupied by the couple. The fifth and sixth floor are vacant.